Lights, camera, action! Midtown is known in Nashville for its vivacious nightlife - from the trendy restaurants to packed music venues and everywhere in between. 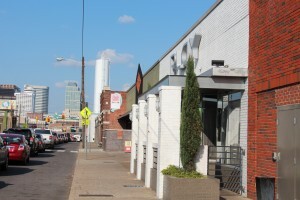 Bordering downtown Nashville and Vanderbuilt University, it’s no wonder why this urban hot spot maintains such buzz. But while bars pack the streets, residential housing is much more limited and what is available tends to carry an expectably high price tag. However, condos offer homebuyers an opportunity to live and play for a more reasonable value – and with an extraordinary view of the Nashville skyline.